Our San Francisco guided tours are all tailored to suit each booking, we do not allow for bookings to be joined. Our guided tours in North California are all exclusive to each client. Should you be planning an architectural trip in Northern California please contact us at e-architect. San Francisco is located in the northwest of the United States of America. 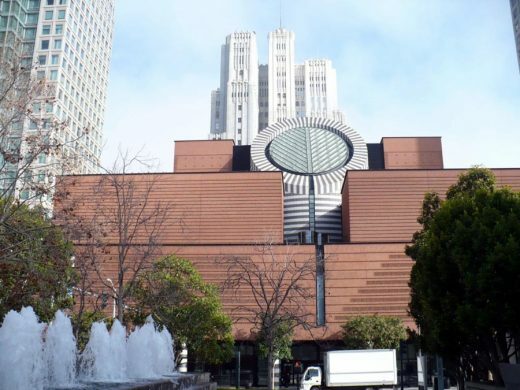 Celebrated Bay area buildings include the Contemporary Jewish Museum San Francisco by Studio Libeskind, the V. C. Morris Gift Shop by Frank Lloyd Wright, the de Young Museum San Francisco by Swiss architects Herzog & de Meuron, SFMOMA Expansion by Norway’s Snøhetta, San Francisco Museum of Modern Art by Mario Botta / HOK, Federal building by Morphosis Architecture and of course the iconic Golden Gate Bridge. 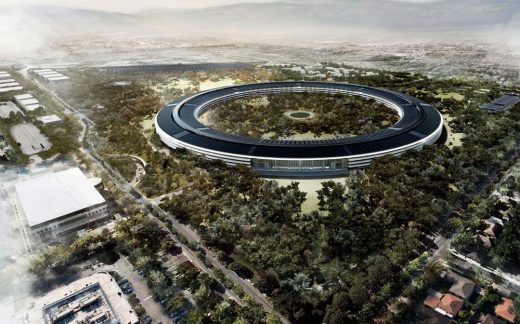 Famous architects with buildings in the city include Snøhetta, Daniel Libeskind and Foster + Partners. Famous 20th Century architects to build in the Bay Area include Frank Lloyd Wright and Mario Botta. 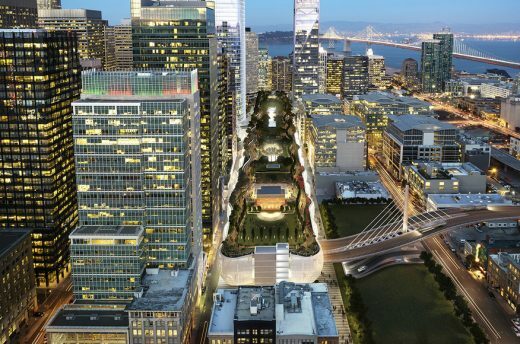 Other significant architects offices with work in the city include Ennead Architects, Gensler, Rafael Viñoly Architects, CCS Architecture, NBBJ, AECOM and Page & Turnbull. 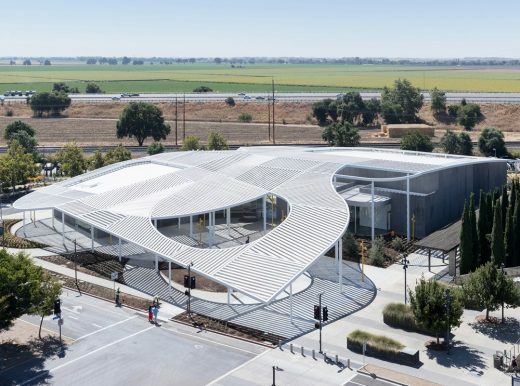 Other recent important buildings to visit include the Bing Concert Hall, Stanford, south of San Francisco, Contemporary Jewish Museum by architects Studio Libeskind, the Congregation Beth Sholom Synagogue by Stanley Saitowitz / Natoma Architects and 25 Lusk by CCS Architecture. 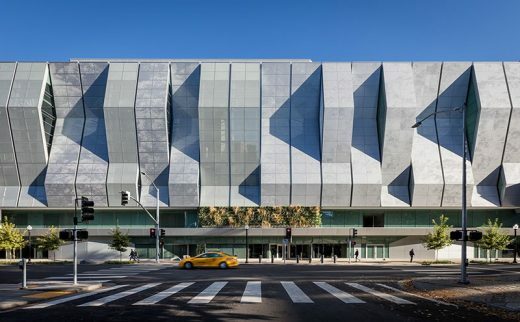 Architectural projects to look out for in future – ie still at design or construction stage – include Golden State Warriors Sports and Entertainment Arena by Snøhetta + AECOM Golden State Warriors Arena San Francisco ; Facebook Campus Expansion, Menlo Park, by Frank Gehry ; Google Bay View Complex, Mountain View, Clara County, by NBBJ. 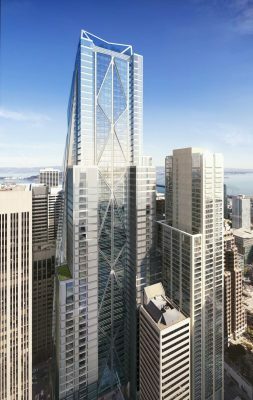 San Francisco Architectural Tours can focus on contemporary Bay area buildings or traditional buildings, or a mix of both. e-architect would be glad to help with your itinerary preparations ahead of your visit to the Bay Area. Naturally tours can extend out tio Oakland, San Jose and Berkeley if there are specific buildings your group wishes to visit. 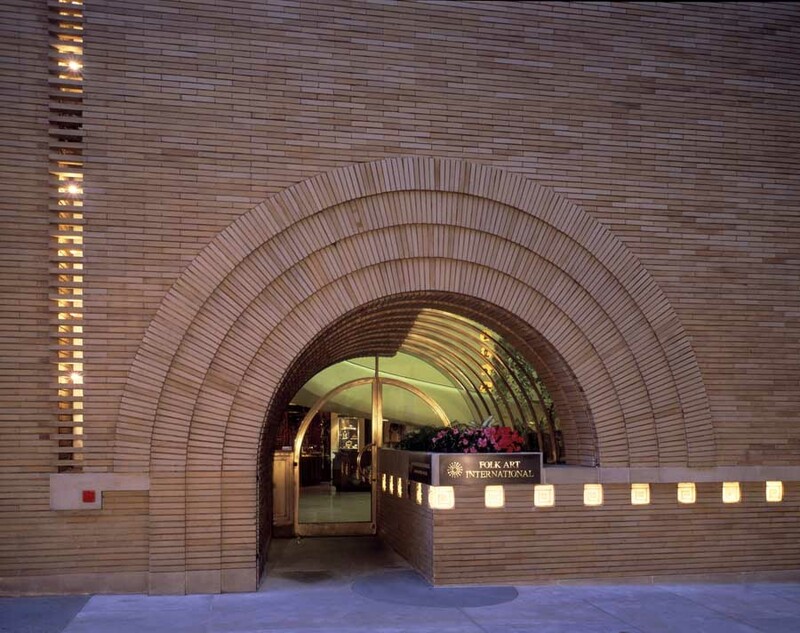 Other than San Francisco, e-architect organise architecture walking tours in other cities such as Los Angeles, Vancouver, Chicago, New York, Boston, Edinburgh, London, Mexico City and Paris.